Private Keith Arthur Stoddard was born on September 20, 1950 to Mr. and Mrs. Kenneth R. Stoddard of Ypsilanti, Michigan. Keith is a 1968 graduate of Ypsilanti High School. After graduation, he worked in the laboratory of the State Highway Department. 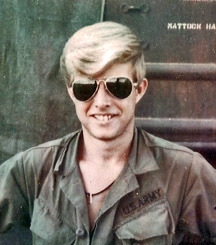 He entered the Army in March of 1970. 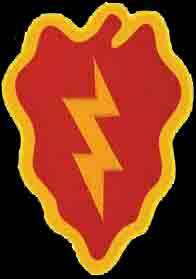 Private Stoddard began his tour of duty in Bien Hoa Province, South Vietnam serving as an Armor Crewman with Headquarters and Headquarters Company, 1st Battalion, 5th Infantry, 25th Infantry Division. Keith was killed on February 1, 1971 due to the accidental self-detonation of an explosive device. Keith Arthur Stoddard is survived by his parents, one brother and five sisters. He lived 20 years, 4 months and 11 days. He is resting in Union-Udell Cemetery in Ypsilanti, Michigan. Keith's name is listed on the Vietnam Memorial in Ypsilanti Township under Ypsilanti. His name also appears on the Vietnam Memorial in Washington, DC on Panel 05W Line 073. I knew Keith as a member of the State of Michigan, Highway Department, Earth Resistivity Survey Team. I recall him always to be upbeat, cheerful and a positive influence on working in adverse conditions. He liked country-western music before it was popular to do so. I always remember that he had a smile on his face, no matter what the job, no matter how unpleasant it may have been. I can only assume he was a positive influence on his unit in Vietnam and his life was cut short in the service of his country. That makes him a HERO to me.